Did somebody say guacamole? We sure did! 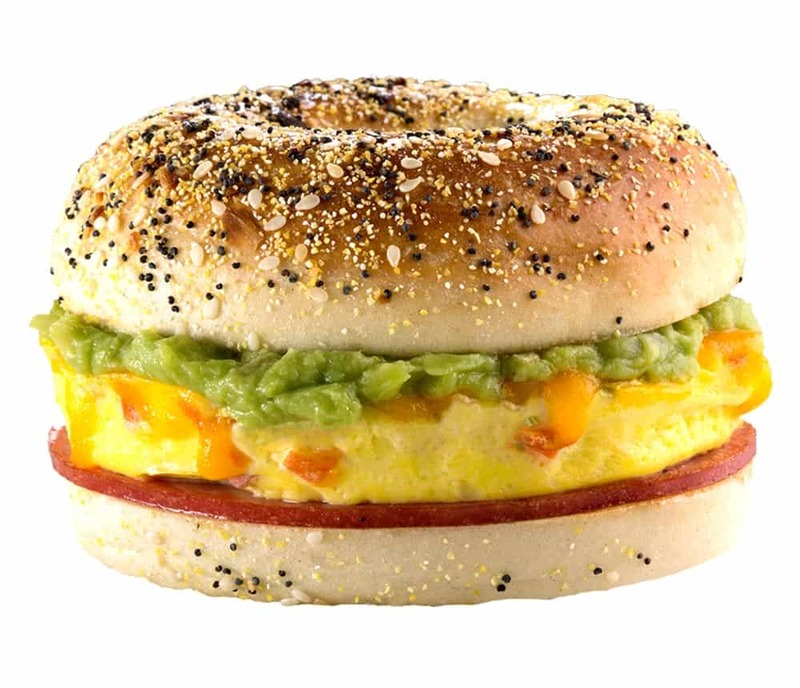 The California Bagel Omelette is made with fresh eggs, tomatoes, guacamole, shredded cheese, and a sausage patty, bacon or a full slice of ham. Then, it is placed on a toasted plain or everything bagel. The choice is yours! We’re not sure it gets much better than this!